Thames Water (TW) have now launched their ‘new connections charging structure’. These new charging structures will have a significant, and largely positive, commercial impact on new developments. All other water companies are about to follow suit, and all changes will come into effect on 1 April 2018. Modelling charges are no longer applicable. New Development enquiries are actively encouraged so that TW can model their network early and at their own cost. ALL network reinforcement is effectively guaranteed. Grampian conditions* will no longer be applied by TW at planning. The worst case is that TW request a condition on build out phasing to ensure they are able to get the required reinforcement in place in time. Too good to be true you ask? Well Infrastructure charges were set back in 1991 and have increased in line with RPI ever since. They bear no resemblance to actual costs. Of course, they haven’t done this voluntarily, it is very much legislation driven and the charge is no longer tied to RPI. TW will now recalculate annually from first principles so there is no certainty that in future years there could be significant rises. TW has also launched a comprehensive schedule of rates for connection activities covering the majority of straightforward scenarios which include all traffic management. 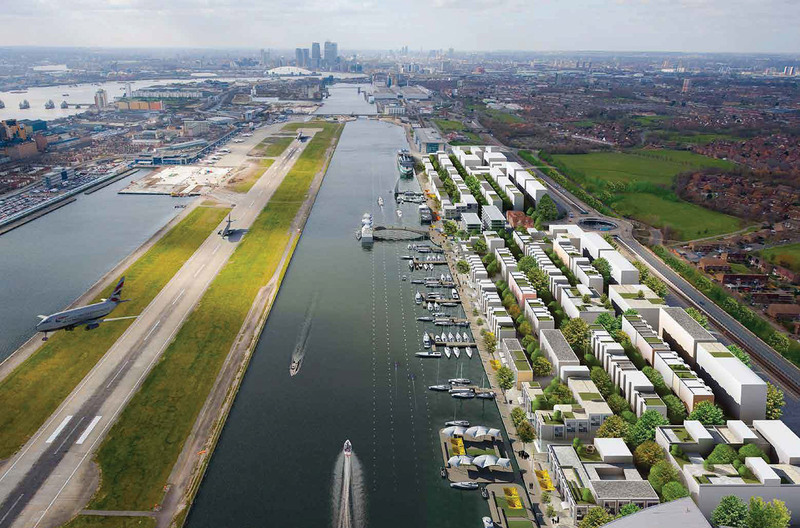 This enables a developer to accurately assess the cost of connecting their site before consultation with Thames Water, which again is good news. No more concerns about capacity. TW will undertake to deliver it. Cost certainty. Based on the new published rates and our expertise, the Hilson Moran Infrastructure team can now provide a much more accurate cost estimate for new water and sewerage charges for a proposed development. Lower charges. New water and waste infrastructure charges will be less than half the current, combined charge meaning a potential significant cost reduction for large developments. TW have a basic map on their website showing Flow Management Zones (FMZs) where capacity is known to be limited. If this is utilised well in advance, and with our assistance, we can ensure early consultation with TW so they can adequately plan for your proposals. A similar map covering drainage is available on the London Plan website. Most connections are standard and can be accurately costed but there will often be specific issues which will require a more bespoke quotation (e.g. rail crossing, third party land issues) but we can help with that at planning. There is a transition period between 1 February and 31 March 2018. All currently paid for applications will proceed as planned although there is a mechanism for recovering the difference in infrastructure charges if paid after November 2017. If you have a live quotation which hasn’t been accepted, after 1 February, you can request this be re-issued at the new rates; however, it will not be issued before 1 April. After 1 April, all quotations will be issued using these new charges. Asset payments and all other costs (diversions etc.) remain the same. Note however that a significant change to asset payments is coming in 2020. Instead of paying an asset payment for a mains requisition, the payments will take the form of a credit against infrastructure charges based on the number of connections. The payment will be calculated across all new connections so will likely mean a lower payment to developers in housing estates. However, developers building flats with a connection to the nearest main (who would previously not be eligible for an asset payment) will now be able to also claim this credit. * Grampian conditions – Where the planning authority can halt development until the water company has completed their own off-site network reinforcement.